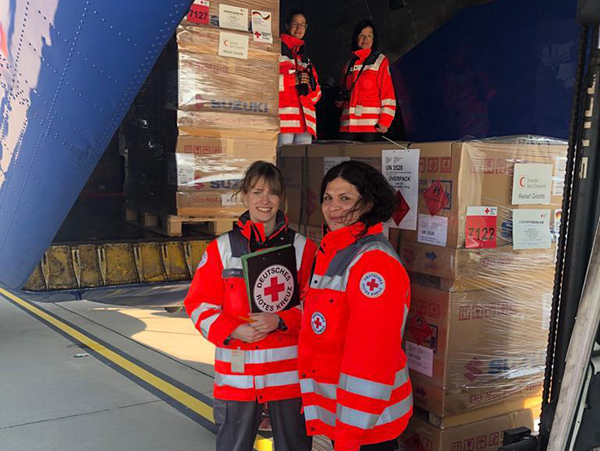 On the other hand, the European Commission Spokesman Carlos Martin Ruiz said the EU’s aid convoys will be sent to Iran through the International Federation of Red Cross and Red Crescent Societies. He underlined that unlike other EU’s humanitarian aid, the convoys don’t serve as a political aid. Armenian Prime Minister Nikol Pashinyan also expressed his sympathy with Iranian government and nation in a tweet, saying the casualties of the latest deluges in the friendly country of Iran has deeply shocked the Armenians. He also said Armenia ready to send aid to Iran. Switzerland Foreign Ministry said the country will dispatch two water purifiers to flood-hit areas in Iran. Each one of the purifiers enjoys the capacity to purify water for at least five thousand people. Norwegian ambassador to Tehran Lars Nordengren expressed his sympathy with the flood-hit Iranians. During his visit to a Red Crescent branch in northern Tehran, the ambassador held talks with the Iranian and international figures involved in aid efforts for flood-hit areas. During the talks, he said his country is seeking to send humanitarian aid to Iran through Norwegian humanitarian associations. He also touched on the impacts of the US sanctions on humanitarian aid to Iran and said the sanctions have hampered the flow of aid. He underlined that this is the people of Iran particularly the flood-hit people who are bearing the burden of the restrictions. In a post in his twitter account, Iran’s ambassador to UK, Hamid Baeidinejad, said the UK Red Crescent Society has expressed its preparedness to contribute to aid efforts in Iran. He said the society has told Iran’s embassy in London that it is totally prepared to immediately dispatch basic goods for flood-hit people of Iran after receiving the list of needed items. Turkey’s Red Crescent Society is among other Red Crescent centres in the world which expressed solidarity with the survivors of the floods and expressed its readiness to play a role in the current aid operations. In a message, the society said it has already dispatched at least five trucks of humanitarian aid including blankets, make-shift tents, cooking tools and so on to Iran. The trucks arrived at Iran’s border on Friday. In a message, Novruz Aslanov, Head of Azerbaijan’s Red Crescent Society, expressed condolences over the deaths of tens of Iranians in the deadly floods. Meanwhile, Afghanistan’s Red Crescent Society also expressed sympathy with the Iranian nation, even though his own country had been hit by a severe flood, which killed dozens of people. In a tweet, Iranian Red Crescent Society Chief, Ali Asghar Peyvandi, paid gratitude to his Kuwaiti, German and Swiss counterparts over their contributions to humanitarian aid in flood-hit areas, and vowed to brief the Iranian nation of the way in which the aid is distributed among the people.